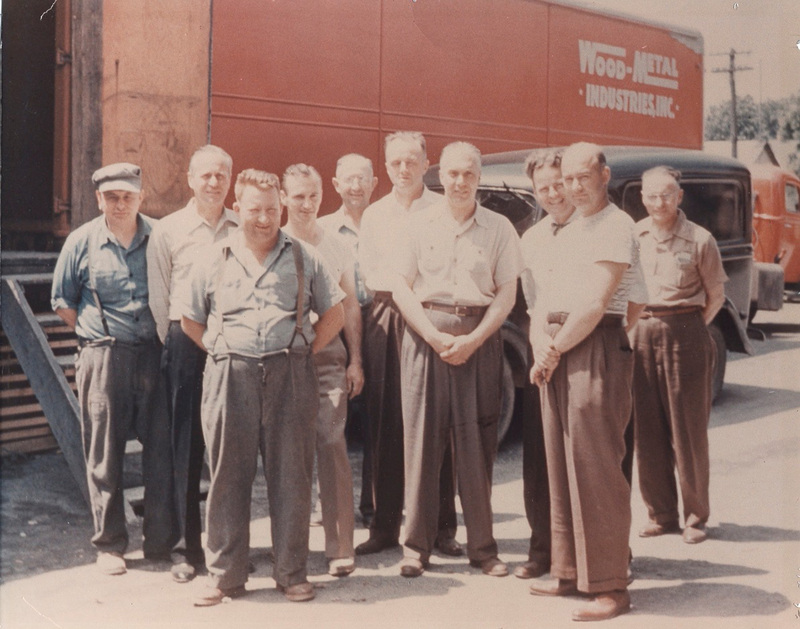 The crew at Wood-Metal, now known as Wood-Mode, circa 1950s. Ten years after the end of World War II, the wood cabinet industry was in a state of flux. With market share rapidly shrinking in favor of lower-cost steel cabinetry, something had to be done. It was under this backdrop in 1955, that 38 companies joined to form the National Institute of Wood Kitchen Cabinets, known today as the Kitchen Cabinet Manufacturers Association. The goal: To promote factory-built U.S. wood kitchen cabinets. 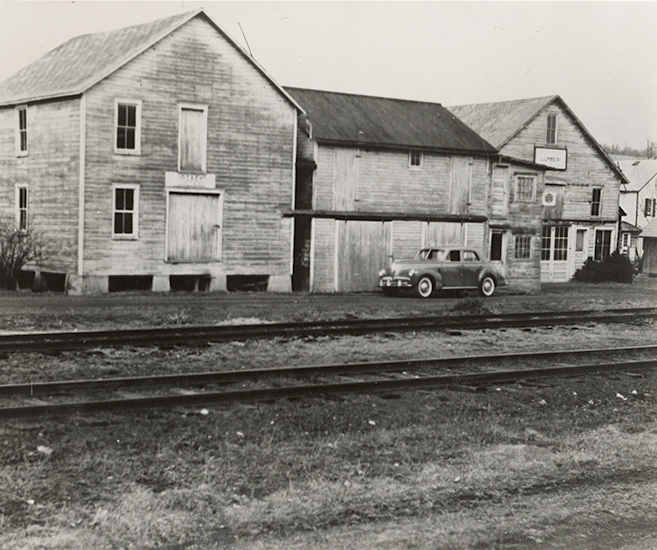 Wood-Mode Inc., then known as Wood-Metal, was an active charter member in the association. Founded in 1942 by T.O. Gronlund, C.G. Wall, R.E. Nellis and Cas Holloway, the company produced wood and steel cabinetry until the war forced a change. 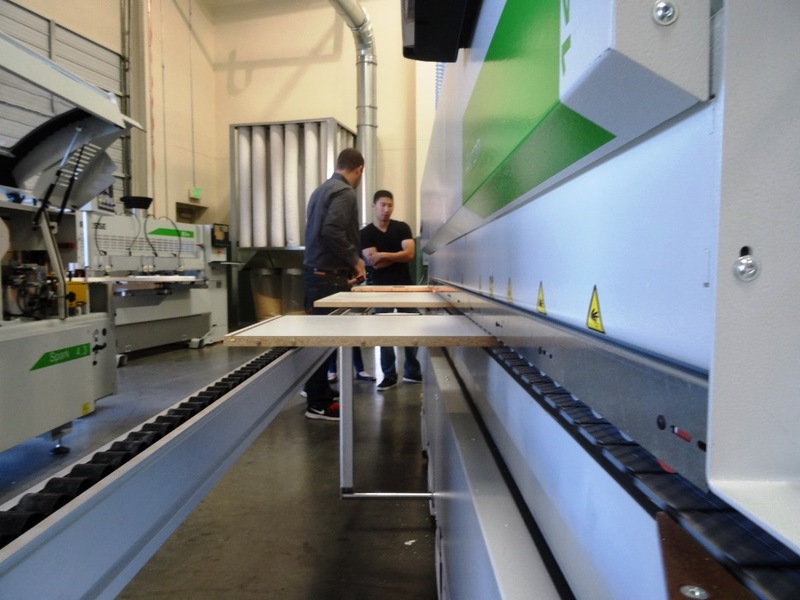 Those years, and the ones immediately after, “were a transition time, not only for Wood-Mode, but also for the cabinet industry, as we moved from steel to wood,” said Robert Gronlund, chairman and CEO. 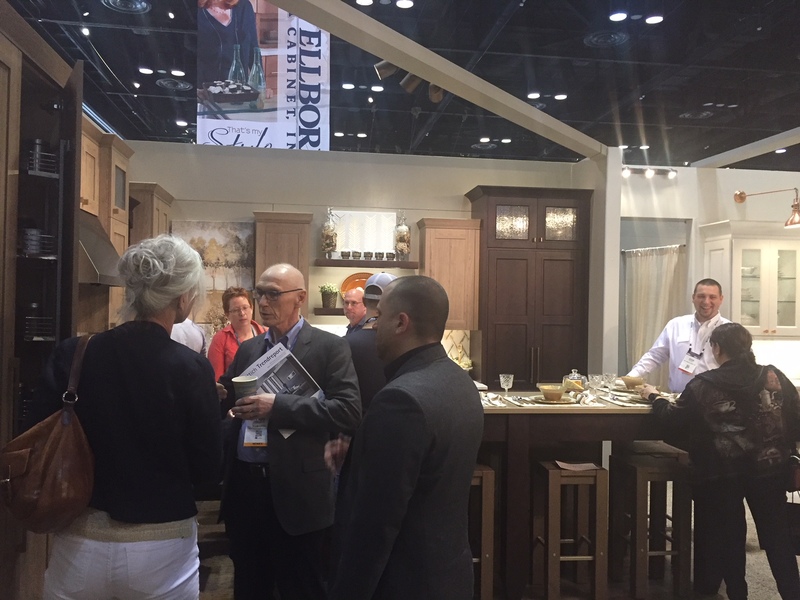 Membership in the association gave Wood-Mode and others a collective voice in the industry and help spur the growth of wood cabinetry. It also provided Wood-Mode with opportunities to network, obtain knowledge and resources to grow. And grow it has. Today the Kreamer, Pennsylvania-based manufacturer produces 700 to 800 frame and frameless custom cabinets a day under the Wood-Mode and Brookhaven brands. The firm posted sales of $145 million in 2016 and employs 1,200 people at the 1.3 million-square-foot plant. Frameless cabinetry currently accounts for approximately 65 percent of Wood-Mode’s business. The company was one of the first adopters of the 32mm system in the United States, and has been producing frameless cabinetry since the early 1980s. Soon after, another paradigm shift would hit the cabinet industry, and Wood-Mode would once again take a leading role: environmental/VOC regulations. A sustainable manufacturer, Wood-Mode offers a wide variety of kitchen cabinet styles. 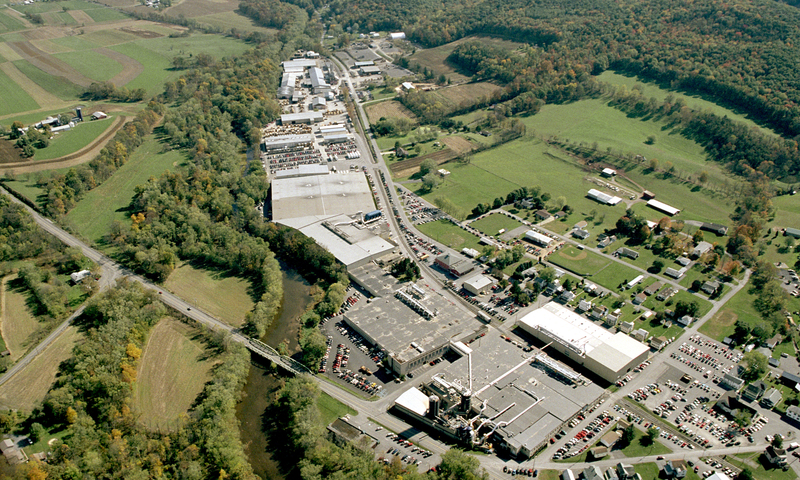 As finishing regulations were hitting the industry, Wood-Mode was in the midst of a plant expansion. 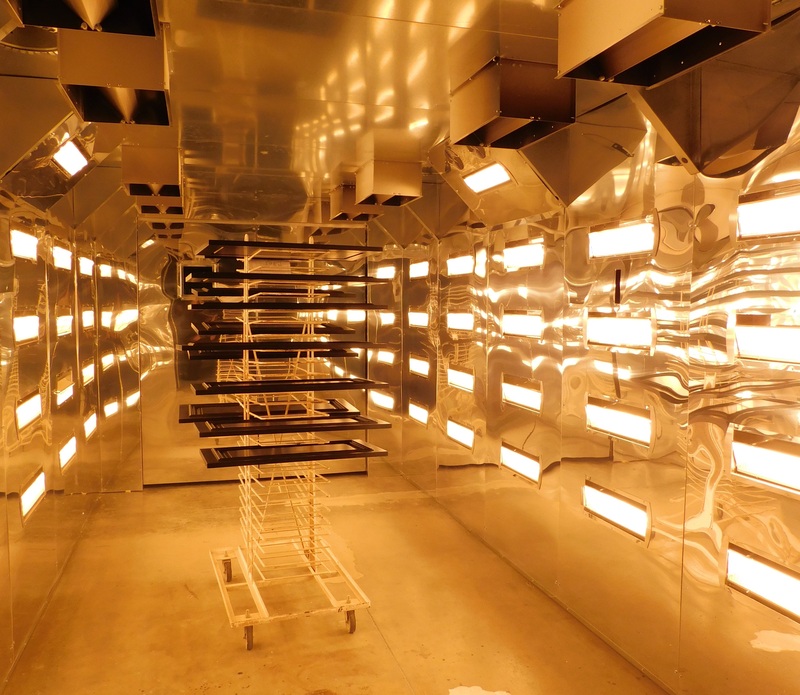 To ensure regulatory approval for the new finishing system, Wood-Mode installed a regenerative thermal oxidizer (RTO) at its plant, using transferrable technology adapted from the automobile industry for woodworking. 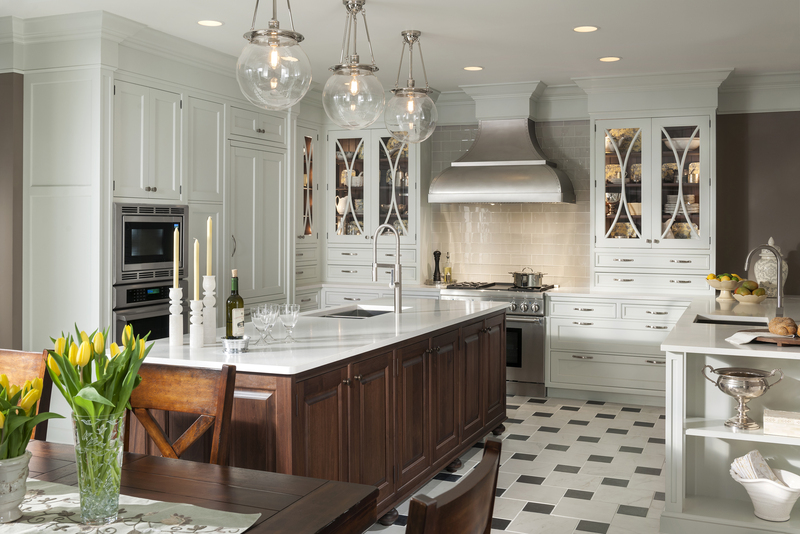 “We were the first kitchen cabinetmaker in the U.S. to use this technology,” Gronlund added. A sustainable manufacturer, Wood-Mode also was one of the first companies to be certified under the KCMA’s Environmental Stewardship Program. As Wood-Mode celebrates its 75th anniversary, Gronlund credits the strength of the company’s’ employees, dealers and independent sales representatives. He also gives credit to KCMA, adding it “provides an excellent job” of keeping Wood-Mode, and the industry at large, in touch with important news and information.